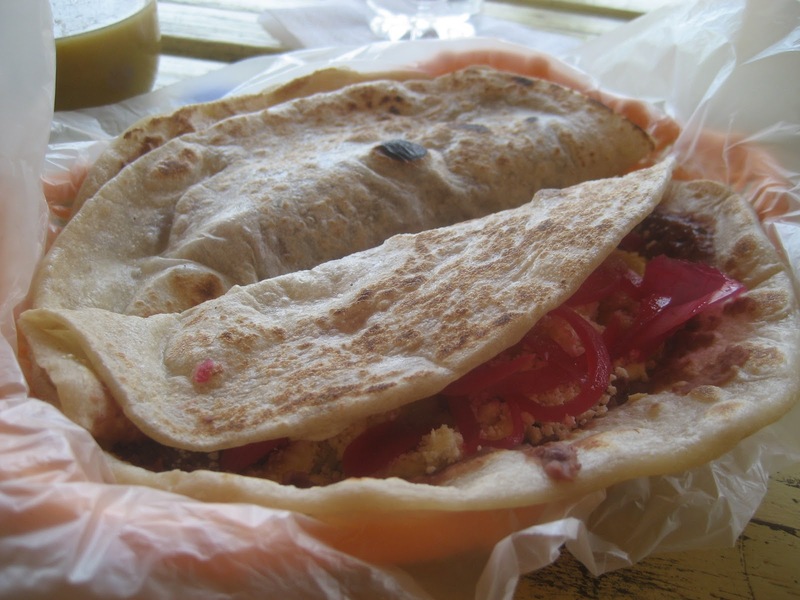 I am loving a new tortilla-based street food I have been introduced to in Honduras: baleadas. (It took me three days to remember the name!) They are large (often up to 8 inches in diameter), thick, and fluffy flour tortillas folded in half with fillings for about a dollar a piece. I eat them for breakfast or midnight snacks stuffed with refried beans, crumbly white cheese, and sometimes eggs. Even better with pickled red onions and homemade habanero hot sauce. Breakfast of champions, right here. This entry was posted in Central America, Food, Honduras by ladyasatramp. Bookmark the permalink.